Inside: Read the stories of eight mama experts as they share their experiences and their best potty training tips for toddler girls and boys. The first time I tried potty training my toddler, she was just over two. I was determined to get the whole potty training thing right the first time. I decided we were going to try the three-day method and go all out since my daughter was showing interest in going potty on the toilet. So I cleared our schedule, bought pee and poo presents, a little potty, and gated off all of the carpeted areas in my house. Long story short, there was accident after accident, the excitement of something new soon turned to agony for my toddler and our bodies and our emotions were tired. It was exhausting. I realized she was not ready. That is why I need a mama tribe. A group of experts (mamas) who have tried and experienced what I was going through. 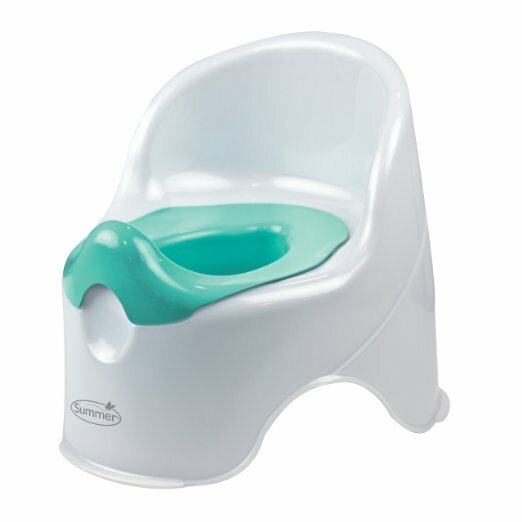 This is the potty seat we used. “We waited for our daughter to show signs that she was ready and brought the potty out so she was aware of it and we could introduce her to it in a slow and steady way without the pressure of potty training. When she seemed ready, we began putting her on the potty to go pee and asking her if she needed to go to the bathroom. We rewarded her at first to give positive re- enforcement, and then phased the rewards out in return for just praise. She’s now fully potty trained and wears underwear to bed. We started potty training when she was 2 and a half and she stopped wearing pull-ups about two months before her 4th birthday. We had wanted to potty train earlier, but it really came down to her being ready and then following her cues and offering encouragement. My daughter loved reading this book about the potty. “Have an open door policy. The kids seeing you take care of business helps to spark their interest in the potty. It’s not like you will ever pee alone again anyway! 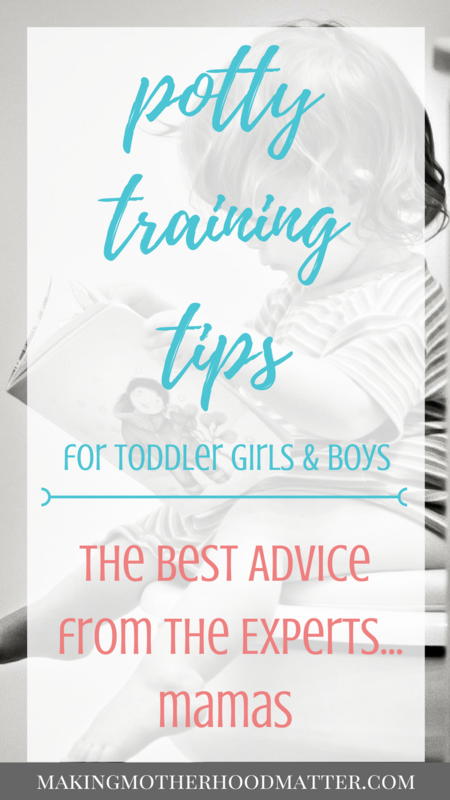 What I have learned about potty training after successfully toilet training my toddler was that I needed to follow her lead and let the stress go. I decided to take the long road to potty training and ask my daughter every day if she wanted to go potty a few times a day, if she did – great, if she didn’t – that was fine too. At first, I heard a lot of “no’s” but one day, she said “yes,” three times. The next day she went five times. And finally, the third day she went all day on the toilet with no accidents and wearing underwear. I also would ask her in the morning if she wanted to wear underwear or a pull-up, because then it was low stress and her choice. Now, at three-years-old, she still wears a pull-up at nap time and a diaper at night. And you know what, I am ok with that. I think you have to read your child and figure out what will work best for your child. What potty training tips have worked best for your family? Many of the answers from the experts came from the Balanced Mommies Facebook Community mamas. If you’d like to join, we’d love to have you join our tribe! Click here. PS- If you liked this piece, you may also like How to Get Your Toddler to Bed With No Excuses. This is great! I'm getting ready to potty train my second and could use all the help! Thanks Aly, I'm so glad you found this helpful. We stayed home for 3 days and became fully invested. stocked up on underwear and didn't use pullups. By day 3 she was a pro! Yes, preparation is key! I did the same. That potty book is my daughter's favourite. Soon I'll have to pull it out to start reading to my youngest. This is a great round up! I really do think waiting until they're ready is the best tip of all! Yes, waiting until the child is ready I think makes things SO much easier. It's been 6 years since I've had to deal with Potty training but my littlest is getting to that stage. Thanks for the refresher! we are waiting til my little guy pretty much does it himself- we have that potty book by lisa patricelli and its so cute!